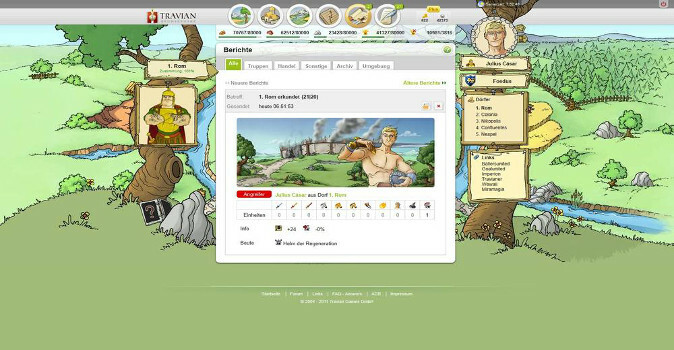 The free-to-play strategy browser game Travian can be categorised as a construction and strategy browser game. The goal of the game is to turn your small and sleepy village into a powerful empire by using your tactical and strategic knowhow. You’ll also need to think about recruiting an army and forming alliances with other players, alongside expanding your own village. 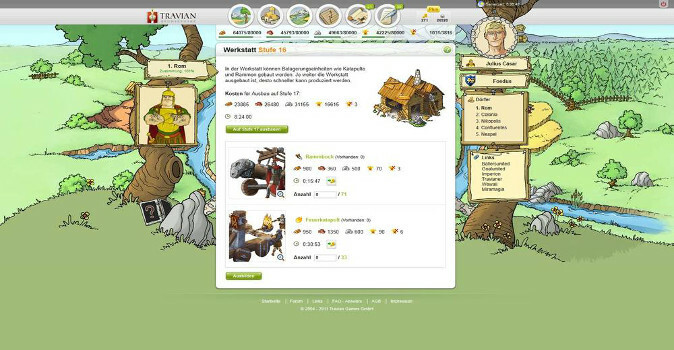 In Travian, you have the option of choosing between three different races. These have been chosen from the late antiquity period or early middle ages, which has been reflected in the game environment and consist of the Romans, the Gauls and the Germans. Every race has, of course, their own special attributes and items. The Romans have advantages when it comes to the construction of your village or city. They also have higher defensive stats for their city walls and possess stronger infantry. The Gauls have the fastest units in the game, cheaper villager and can build traps to defend their village from attack. Last but not least, the Germans have the most savvy traders, an almost indestructible wall and have the ability to recruit units cheaply and quickly. Due to the sheer amount of different units in the game, as well as the varying strengths and weakness of each race, you’ll need to think long and hard about your tactics. The Romans have really good defensive infantry units in the late-game but they only become available once you’ve researched them for a long time. Your weak traders can also mean that you’ll find resources scarce at times. This means that we’d only recommend choosing them if you’re an experienced player. The Germans, on the other hand, are an offensive and blood-thirsty race, which means that they’re rather weak when it comes to defending and moving their units quickly. The Germans are perfect for attacking and, therefore, are more suitable for experienced players as well. The Gauls are the perfect race for beginners. They have a good mix of defensive and offensive units, savvy traders and mid-level defensive fortifications. In Travian, you don’t just have to look after turning your once sleepy village into a powerful empire by using strategy, trade and military engagements. You also have access to your own heroes who can be sent on quests and adventures. These will give you the chance to gain experience and level-up in the process. Increasing your level generally means that your hero’s special skills and abilities will be improved. These can include, for example, an increase in your army’s offensive, defensive and looting capabilities. Aside from the hero, you’ll also be given daily tasks to complete, as well as the ability to take part in community events and adventures. 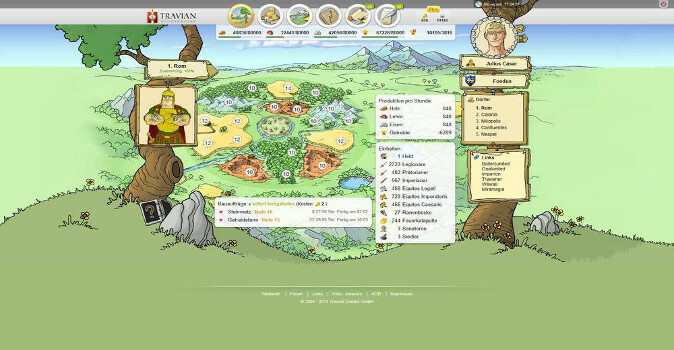 The Clan and Alliance Feature has a big influence within the game of Travian. Playing alone is not only less fun, but also means that you can look forward to fewer rewards and there’ll also be no one there to answer your calls for help if and when you get attacked. The extensive trade system at the market place, as well as the ability to send grain deliveries to varying warehouses (your troops need to be fed!) are some of the extra interactive features allowing you to communicate with other players. Aside from raw materials, you’ll also be able to trade items for your hero at the market place, either with other players or within your own alliance. By doing this, you’ll feel a great sense of community as you trade seamlessly with your fellow allies. 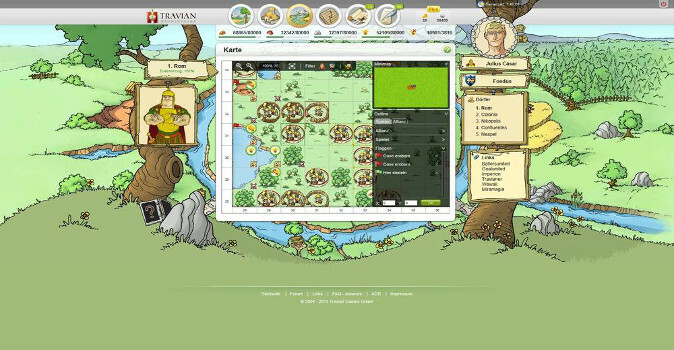 The revamp of the construction strategy browser game Travian has really impressed us more than it did before. The game has delivered an even more complex and extensive experience by updating the graphics, introducing a trade system and offering new and exciting daily quests and tasks to complete. It has developed into an extensive and tactically challenging browser game, which will keep you entertained throughout. 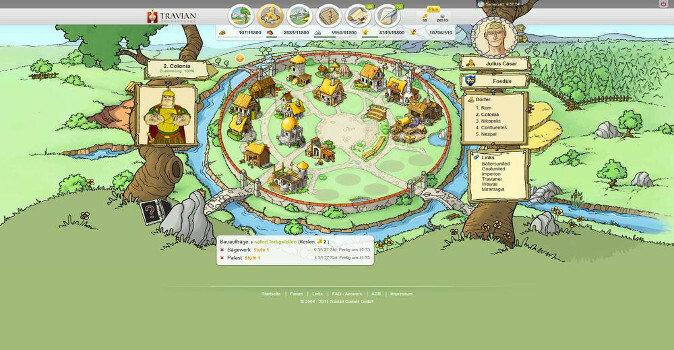 We loved Travian to begin but the new and improved version is really a step-up.